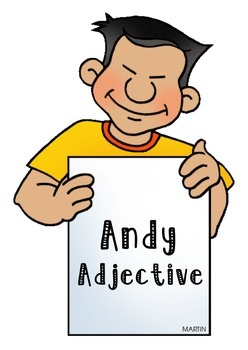 Match these verbs, adjectives, and nouns to Vicki Verb, Andy Adjective, and Nygel Noun. 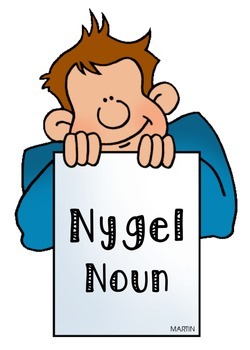 Vicki Verb is African American, Nygel Noun is Caucasian, and Andy Adjective is Asian. 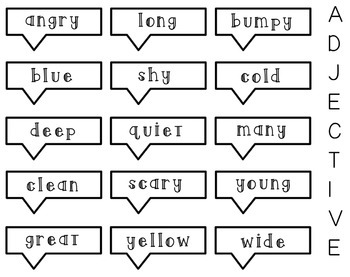 Each part of speech has 15 bubbles. 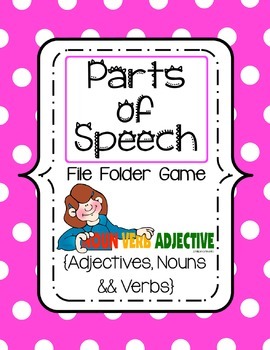 I would recommend using two folders: Vicki and Andy in one folder, and Nygel and a pocket to hold all of the bubbles in another. That way each half of the two folders are being used.